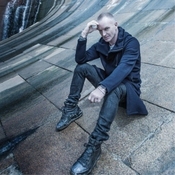 Cherrytree/Interscope/A&M Records is pleased to announce a new album of original material from Sting, entitled The Last Ship, scheduled for release on September 24, 2013 (internationally on September 23, 2013). The play, in which Sting has been creatively immersed for nearly three years, debuts on Broadway in 2014 and is a collaboration with Tony Award winners Joe Mantello (director; Wicked, Other Desert Cities), John Logan (writer; Red, Skyfall)) and Brian Yorkey (writer; Next to Normal). The Last Ship tells the story of the demise of the shipbuilding industry in 1980s Newcastle which had, for so long, shaped and overshadowed the city, its development, and its community. The Last Ship album is produced by Rob Mathes (Sting, Eric Clapton, Elton John, Lou Reed, Carly Simon) and engineered and mixed by Donal Hodgson. The Last Ship will be available as both a digital and physical release in two configurations - a 12-song version and a 2-disc deluxe version featuring 5 additional tracks. (The 12-song version will also be available on vinyl.) A super deluxe edition, containing 2-discs comprised of 20 tracks within special packaging, will also be sold as a physical product exclusively at Amazon.com. AmazonMP3 will be the exclusive retailer for the 20-track, super deluxe digital edition. Amazon.com. You may also pre-order the 12-song album, vinyl edition, and 2-disc deluxe package in the Official Sting Store.